Description: Impecable from head to toe! This is as close to perfect as you will find! 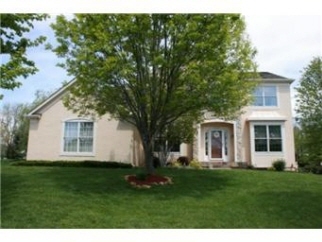 Gourmet kit w/new stainless appliances, granite, hardwoods 2 pantries & isl. Hardwoods on all of main fl, stairs & landing. Main fl office. Huge master suite w/heated floors, new tiled shower, walk-in closet & sitting rm. New tile patio overlooks landscaped lot. Fin bsmt.